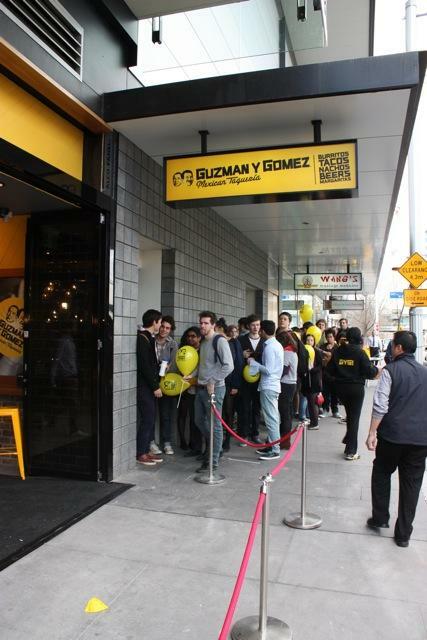 On Thursday August 16 Guzman y Gomez (GYG) Mexican Taquería celebrated their opening in Canberra Centre and their 17th restaurant. GYG gave away 4,005 free burritos all made to order from 11am - 8pm, that's more than 7 burritos a minute. Founder Steven Marks says, “We knew Canberra was ready for GYG and yesterday proved it with over 4,000 customers showing their support by enjoying our food, our culture and the experience of GYG". GYG Canberra Centre is a fully licensed restaurant serving margaritas, sangrias, and a range of Mexican imported beer.